Once upon a time, let's say seven or eight years ago to be more precise, marketers and purveyors of fine websites began to realize that the quality of the content on their websites mattered. This was a direct response to google cracking down on keyword stuffing. The widespread adoption of good quality content created far better experiences for users through a variety of mediums, from written to visual. But had it begun to feel a little bit stale? With so many advancements in the digital world, it's only natural that content marketing would begin to evolve into something more three-dimensional. 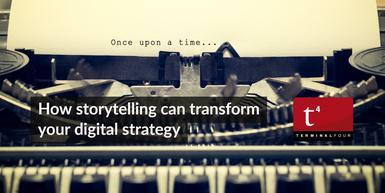 Storytelling has trickled into the mainstream for brands over the past number of years. In the UK, one of the best examples of this happening is the evolution of the John Lewis Christmas advert. John Lewis is a British retailer who many credit with introducing the phenomenon of the Christmas advert. The first iteration of the John Lewis Christmas ad was in 2007 and was a far cry from the adverts we have now come to expect each year. The message of this ad was that John Lewis would help people find the perfect present for their loved ones. It's a simple ad that contains elements of storytelling but it's still a far cry from today's epic production. Fast forward to 2014 where we see the story of a little boy Sam and his best friend, Monty the Penguin. The ad aims to capture the magic of Christmas through the eyes of a child. It's no longer about John Lewis and the products they sell, it's about evoking a mood through story. In 2017, storytelling for John Lewis is still big business. The ad was filmed by an Oscar winning director, had a budget of £7 million, features Elbow's cover of a classic Beatles song and tells the story of a monster under the bed named Moz. Brands like John Lewis aren't creating these ads to spread peace and goodwill, they're doing it because good storytelling works. John Lewis' 2012 Christmas ad for instance, accounted for an overall year-on-year sales increase for John Lewis of 44.3% in the five weeks to Christmas. 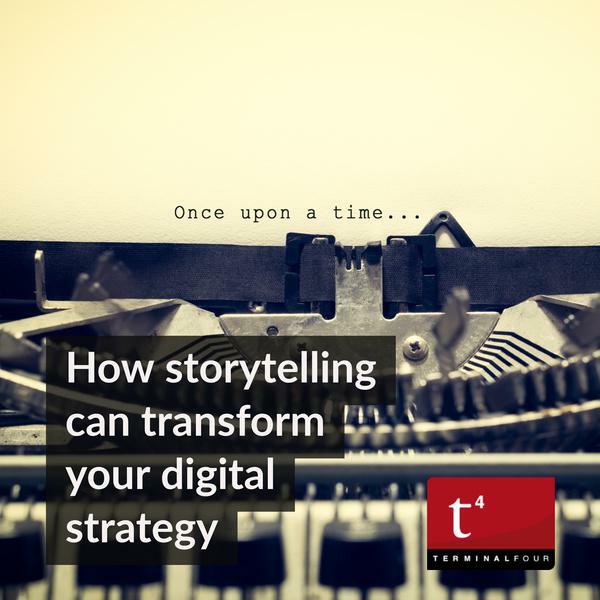 The idea behind storytelling for brands is simple. People remember and relate to stories better than they do with facts or statistics. Imagine for a moment you're a prospective international student from China interested in studying in the United States. You begin researching online and you stumble across one university that says it has international students from over 100 countries around the world. You then watch a video created by another university which tells the story of one Chinese student's story; where he is from, who his family are, what his life in China is like, why he decided to study in the United States and why he chose this particular university. Maybe the video shows him going about his day on campus as an international student, talking about the challenges of studying abroad and what the most rewarding aspects of the experience have been. Which university would you be more likely to remember? Whether you're watching a movie, reading a novel or telling your child a bedtime story, all stories have one thing in common. They all contain a beginning, middle and an end. Most good stories will also adhere to the classic three-act structure. This is where you introduce your protagonist and the world the story is set in to your audience. Here is your chance to get people to care about your protagonist. In this act you should give him/her a backstory and have a good hook to keep people interested. Part of this hook should be the ‘inciting incident' - this is the incident that occurs that sets the protagonist out on their journey. Act one will end with the plot point of the story. This is typically the longest act of the story and is often where the story goes awry. This is typically where subplots are introduced. A subplot is a minor story that features within the layers of the main story. If the protagonist is confused or facing any challenges then something must happen by midway through this act to change his mind. This is the act where any conflicts are resolved. The main character comes face to face with the villain, a battle ensues and then the story is resolved. If your story doesn't feature a villain then a challenge or obstacle will be overcome at this point. Antagonist: Who or what is the antagonist within your story? What challenge does your hero have to overcome? Maybe it's the challenge of moving away from home for the first time or an illness that a researcher is trying to find a cure for. Inciting incident: This is the out-of-the-ordinary act that challenges them, and sets them on their way. Maybe it's when one of your students goes to an open day and decides to apply to your university. Crisis: Where does your protagonist's journey hit a bump in the road? For a researcher, maybe they couldn't get funding or they couldn't prove a theory. Climax: How does the protagonist's journey reach a climax? What challenge have they overcome or problem have they solved. Perhaps, your student has moved on campus and is now fitting in. Resolution: What is the lesson of your protagonist's story? What did they learn on their journey? Perhaps an international student has learned something about him/herself on this journey to another country. Taking a step back before you set out to create your next piece of content can help you to see the potential story. Instead of creating a testimonial or case-study style piece, why not let the subject of your video tell their own story. Give your students, faculty, staff or researchers the platform to show you their journey. Remember a good story shows the good and the bad so don't be afraid to show the challenges and downsides they have encountered. We will be back soon with the second part of this storytelling blog which will give you some ideas on how universities are using storytelling.